Nowadays, the only way to determine if medical marijuana will relieve your symptoms is to try it. And even if you do experience relief, you won’t know for certain whether it’s attributable to cannabis or to the placebo effect because there hasn’t yet been enough scientifically rigorous clinical research done on cannabis to make reliable assertions on its application and effectiveness. So, in a Catch 22, research into the possible uses of marijuana as medicine is prevented by a law that has already concluded (despite a lack of research) that the plant has no medicinal value, and that mere possession makes one a criminal who is subject to jail time. Despite the White House recently eliminating a key restriction that has previously made medical marijuana research so difficult, the substance remains a Schedule 1 drug. Ideally, no one—not the person administering the drug, not the subject being tested—knows who’s getting the daisy petals and who’s getting a placebo. After an appropriate period of time, the results are checked, preferably by a person who is shown just the statistics and who is entirely ignorant of the effect being tested (this is the golden “triple blind” condition). If the group taking the high dose of daisy petals gets about the same number of colds as the placebo and control group, this indicates that high doses of daisy petals are probably useless in preventing colds. If, however, we found a statistically significant lowering of cold incidences in the daisy petal group, we would be justified in taking the research to the next level. 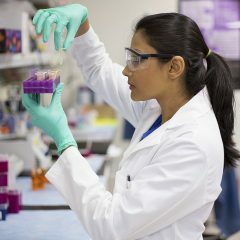 Only when we can demonstrate that 1) the drug we’re testing yields the positive results we predicted, and 2) the outcome is the result of a clearly defined physical mechanism, can we be justified in concluding there is a real cause-and-effect relationship between application of the drug and the observed effects. When we’re talking about testing with people (or lab animals), it’s rarely that simple. Chemists, for comparison, have it relatively easy. They can grind powders and heat rocks all day long, and no one complains about “rock cruelty” the way people question the ethics of animal testing. And even lab rats and rabbits are better than people (in this case). 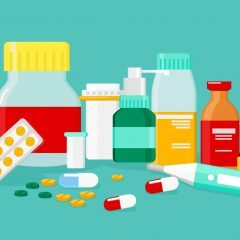 Lab animals’ dosages of experimental drugs can be precisely administered and recorded and their behavior controlled and observed. Not so much with humans, who lie, forget, and engage in behavior beyond the observations of researchers. Finally, (most) people are not rats, so outcomes we observe in lab animals cannot be assumed to be the same as we would see from human testing. If we can survive that gauntlet, we next enter the bewildering maze that is the Food and Drug Administration approval process. No government agency is renowned for its speed and efficiency, and the FDA is no exception, regularly taking six years of deliberation and investigation of an experimental drug (and that’s on top of the previous work that’s gone into getting the drug in front of the FDA). This means that the overall process of bringing a new drug to market is typically eight to twelve years. That’s not only time-consuming, it’s really expensive. Is it worth it? Probably. Because the alternative can be worse. Think about the field of medicine before it was commonly subjected to the scientific method: bloodletting; drinking mercury; performing surgery with filthy hands. Superstition and ignorance reigned. Suffering flourished. So, where are we with medical marijuana? 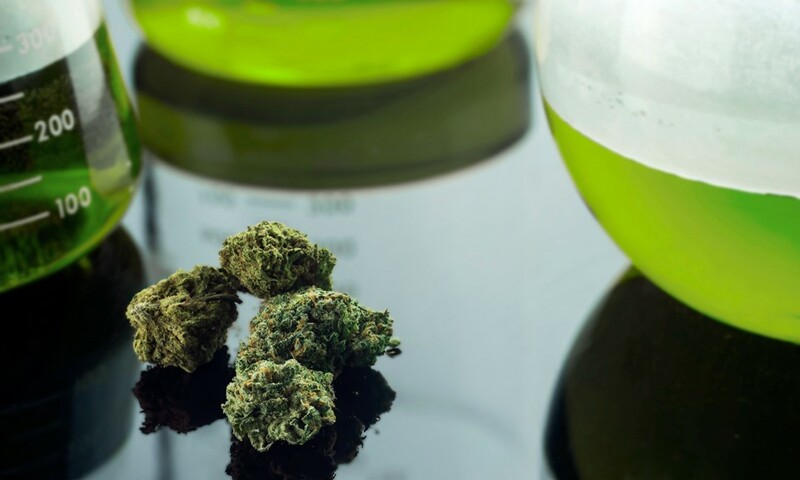 Encouragingly, some nations have cut much of the red tape associated with experimenting with medical applications of cannabis, and a limited amount of government- and non-government-sponsored research is moving forward, with (so far) promising results. This is where it’s appropriate to bring up the subject of “big pharma” not being interested in researching medical cannabis because there’s no money in it. Suppose it’s scientifically demonstrated that smoking cannabis is effective in decreasing symptoms of epilepsy. In that case, a patient can literally grow his or her own medicine in a flowerpot. No Pfizer or Merck needed. But we’re not even that far yet. Even if the laws changed tomorrow and cannabis became legal in all 50 states, there would remain strong resistance from most physicians in prescribing it due to the lack of proof that it works better than existing treatments. Nearly all the evidence for the efficacy of medical marijuana remains anecdotal, which is to say, scientifically invalid. Responsible doctors demand that the medicine they prescribe be absolutely uniform in strength and effect, and that’s not something that’s commonly available at this stage of developing cannabis as medicine. Also, right or wrong, many physicians are reluctant to recommend substances with names like Durban Poison, Amnesia Haze, or Death Star. Complicating this matter further is the capricious manner in which strains of cannabis are identified. 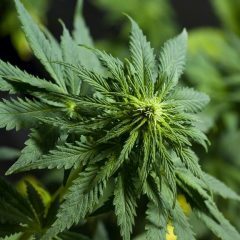 While most horticulturists agree there are three primary categories of cannabis strains (Cannabis sativa, Cannabis indica, and hybrids of the two), there is too little consensus on what specific characteristics define a specific strain. The Blue Dream in Minneapolis may very well be the OG Kush of Seattle. Of course, there are many people who aren’t waiting around for science—tens of thousands in the U.S. alone. These are parents administering CBD drops to their epileptic child. Cancer patients smoking cannabis to decrease nausea caused by chemotherapy. Soldiers seeking to treat the anxiety and sleeplessness from PTSD. The list goes on and on. It’s entirely legitimate to question whether one medicine can treat as many illnesses as are claimed by medical cannabis advocates. Those folks are certainly compassionate and dedicated, but may be overreaching in their claims, in a manner not sufficiently supported by evidence. Yet as of this writing, just over half of the United States have decriminalized at least some forms of cannabis for medical use. The previous U.S. attorney general indicated related federal laws will not be enforced under a "trust but verify" approach to state marijuana laws. The U.S. surgeon general noted data show that “for certain medical conditions and symptoms,” cannabis might be “helpful.” The majority of American adults support decriminalization. Only when United States federal laws are changed to reclassify cannabis as legally available for research will progress in this important area move forward. With the potential benefits being so profound and promising (imagine a cheap, relatively side-effects-free treatment for cancer, for example), it’s past time that our government heeds the will of the people on this issue.